Take your friends to Bamba Wonderland – the kid’s amusement park with lot’s to do! Dress them up with dozens of amazing costumes and feed them loads of wacky food from the stores and games! 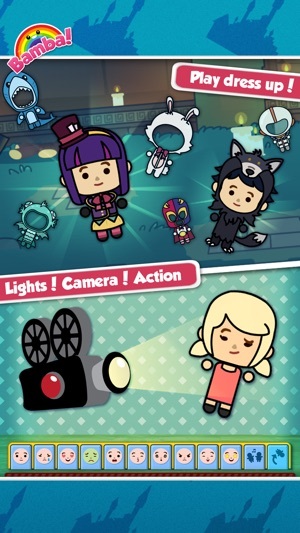 Find out how the characters react when you feed them or put them on a ride. They might love it, hate it, get dizzy or simply go crazy! Control their reactions with an all new never-seen-before EMOJI MENU! Make them laugh, cry, puke, get angry, get dizzy, jump up and down and so much more! Have fun crafting items for your friends! Mix and match unlikely items and see if they can form new and exciting ones! Spiders and a lollipop? SPIDER LOLLY! Record your exploits and tell a story with all the characters with our easy to use ‘Record’ feature! Kids get to make their very own soap opera! 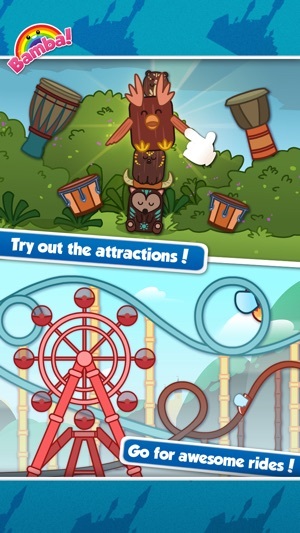 Bamba Wonderland is a fairground with places to explore, many games to play and many secret items to craft. Additional rooms, items and characters are going to be added too! - Five themed parks to visit in this giant Carnival! Spooky Land, Pirate World and more! - Updates for additional rooms, items and characters coming too! Bamba Wonderland is an interactive toy designed for kids. There are no scores, complicated interfaces or stressful time limits. This game is great to play alone or with an adult. - Bamba Burger 2: Kids make their favorite burger, cook the ingredients, stack them up as high as they want! - Bamba Birthday Cake: Create messy, crazy, sloppy stacks of cake! Kids have the wackiest birthday party ever with Bamba Birthday Cake! - Bamba Space Station: Let’s have fun onboard the craziest space station! 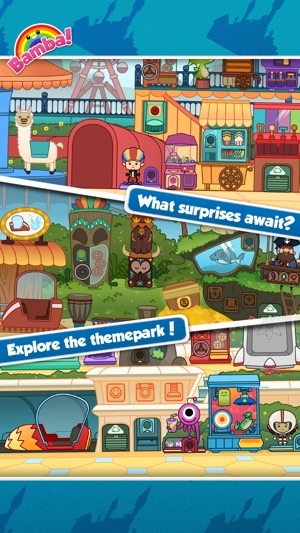 Visit interesting rooms, craft items, and play lots of games. Fly about in zero-g and remember to check out the aliens! - Bamba Surprise: Kids learn new words through surprise eggs! Turn the dial and a mystery egg appears. Open the egg and add the new word to your collection! Thank you for playing Bamba Wonderland! We've made some updates to the app and improved the performance. 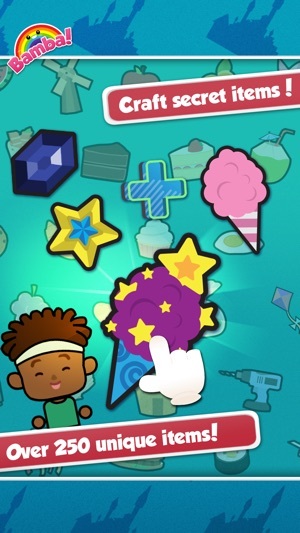 Check out our latest app Bamba Ice Cream 2!